When the Government of Sri Lanka (GoSL) declared in Parliament on May 19, 2009, that the civil war in the country was over, there was silence among the Northern people. An independent observer of the war could easily distinguish between peace and silence at that time. Peace is present when one knows that there is cooperation for coexistence. In a peaceful environment, one party to a conflict can put aside the weapon and sleep at night knowing that the enemy would never pull the trigger in his gun. True peace exists when two parties come to an understanding to cease all hostilities. The scenario is quite different when one party crushes the other and claims to have ushered in peace. The LTTE was wiped out after an almost three-decade war. The Tamil community in the island wouldn’t want another war. But whether enough has been done by the Government through a much-publicised rehabilitation process remains a question. The Government claimed recently that out of 12191 ex-LTTE cadres who were rehabilitated only one remains to be released. Some work has been done during this rehabilitation process. The late LTTE cadre Thamilni Jeyakkumaran in her book titled ‘Thiyunu Asipathaka Sevana Yata’ recalls how ex-tiger rebels were taught life skills at Government maintained rehab centres. The Government recently claimed that ex-rebel cadres had been provided with self-employment opportunities, fishing gear and educational requisites. The Government claims to have spent Rs 26 million in initiating this programme. Rehabilitation is two-pronged. One aspect of rehab is to add value to the lives that have been disrupted. Teaching them life skills and providing them with opportunities to try out these skills solves only part of the problem. But what about the mental wounds which the Tamil people still suffer from? To cure these mental wounds of the Tamil community one must understand the psyche of this community. Commemorational ceremonies for the dead are part and parcel of the Tamil community. This culture was present even during the times when the LTTE was in control of most parts of the north. In this context, we are made to think that a wise decision was taken by the Government authorities because the recent commemorational ceremony of the late LTTE cadre Thileepan-AKA as Rassiah Pradeepan-was not disrupted. His friends and relations were allowed to participate in the ceremony during which a photograph was placed next to a monument built in Thileepan’s name. The GoSL doesn’t allow slain LTTE cadres to be commemorated. But the knowledge of there being no threat of Tamils returning to an arms struggle against the regime has given rise to a school of thought to give members of this minority community the liberty to commemorate their dead. This is regardless whether the deceased were rebels. Aren’t family members of slain criminals and murderers allowed to commemorate their dead? Commemorating the dead should be viewed from the perspective that all are human beings. This writer remembers reading somewhere that on a prison cell wall in Sri Lanka were written the following words; ‘My mother knows who I am’. We have lost so much as a result of the war which was inevitable. But we mustn’t lose the human touch we possess under any circumstance. President Maithripala Sirisena told the United Nations General Assembly in New York that efforts were being made by his people to consolidate peace and forge ahead. His statement that Sri Lanka didn’t wish foreign nations to interfere in finding solutions to the national question might not have gone well with the international community. But the work done by the Government in terms of rehabilitation leaves this regime with the choice of inviting foreign observers to make a visit here and witness the positive work being done. The GoSL recently made aware that officials attached to 53 ministries had conducted a 4-day mobile service in Jaffna to provide solutions to unsolved issues faced by the Tamil community. 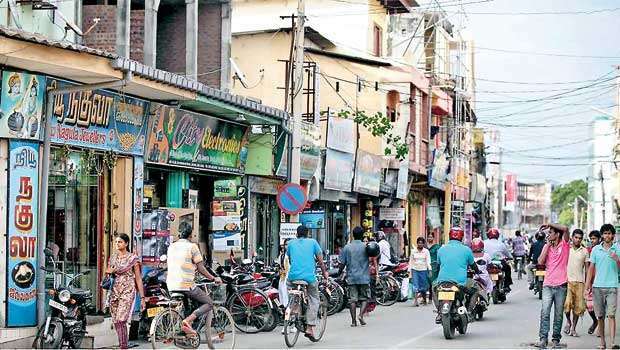 The authorities had found 33,000 unsolved issues bugging this minority community in the Jaffna peninsula. In this context it seems that the presence of the Army in the north makes Tamils irritable. Northern Chief Minister C.V Vigneswaran has openly stated that he wants Army camps removed from the North. But the sporadic violent activities carried out by ‘suspicious’ armed gangs and the Army Commander looking forward to receiving orders from Colombo to quell them suggest there is tension and ill feeling in the North. The Government must ensure that such an environment doesn’t create a situation among the communities akin to simmering ashes under a fire. 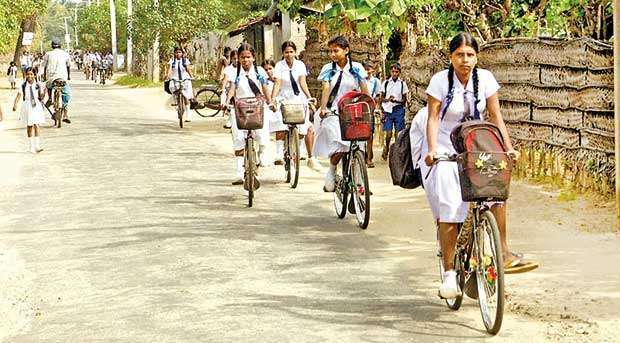 A few days ago there were reports about Sri Lanka being ranked 67th out of 146 countries in a Social Progress Index. But such ratings take mostly material gains welfare measures into consideration. The issue we are right now dealing with is associated with tattered minds and a Northern Tamil culture which was almost wiped out. Giving the Tamils modern technology and rebuilding the constructions which were destroyed in the conflict will only solve half their problem. Efforts must be taken to give the war-affected Tamils their right ‘space’ to culturally prosper and start making contributions to the country’s economy. This is why we should highlight the plight of the Tamils in the north. But in this context, it is of concern to see some television channels telecasting stories of yore which highlight how Tamils rebelled against the Sinhalese in greed of the throne. There are also other television series which make the Sinhalese acquire a war mentality. These are quite unwanted at a time when a reconciliation process is in progress. Recently an individual from Kandy staged a protest against LTTE atrocities in the past using pictures as the mode of communication. The protester wanted people to be allowed to make representations to the Geneva HRC. Is this the time for this kind of activity? What Sri Lanka needs now is warm hearts and not the opinion of hot-blooded individuals Let the memories of brutalities committed by both sides blow out of our minds and away from this island, like a hurricane would. Let the reconciliation process sow the seeds of permanent peace. அண்ணாவும் பெரியாரும் பிரிய மணியம்மைதான் காரணமா? உருவம் எப்படியிருந்தாலும் உள்ளடக்கம் சரியாக இருந்தால் சரியே! This is a sensible article rarely seen in print since 2009. Peace is not the absence of war or hostilities. Peace is something more. The Tamils were treated like conquered people by the previous government. Mahinda Rajapaksa celebrated war victory by holding military parades. It gave the impression the Sinhala army has conquered some foreign enemy. No one seems to think why the war broke out between the majority Sinhalese and numerically smaller Tamils. After all the Jaffna Kingdom largely existed in complete amity with the other Sinhalese Kingdoms. It was even found that the Kandyan royalty had matrimonial relationship with the Jaffna royalty. One reason may be both are Tamils. The last 4 kings who ruled the Kandyan Kingdom were Tamils. Today, the Tamils remain psychologically as aliens in the country of their birth. They feel they are second-class citizens. Sinhalese dominated military is perceived as an occupation. So is the police. In a dispute between Sinhalese fishermen from the south and fishermen from the North the army and the police take the side of the Sinhalese fishermen. Equality before the law has become a slogan and nothing more.If you hold a referendum on a separate state for the Tamils 90% will vote yes. In the meantime, the country passes through one crisis after another without end.